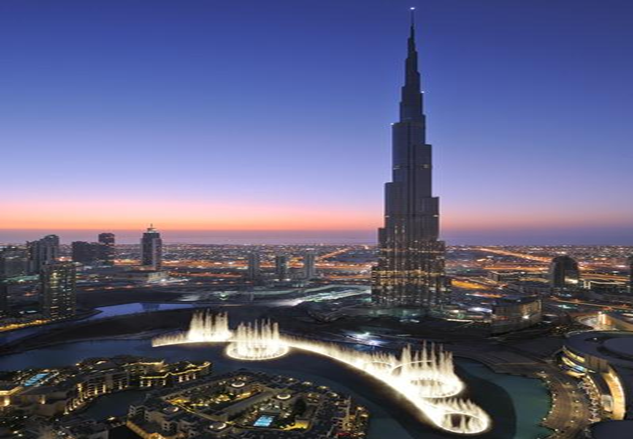 The first destination on our list is Burj Khalifa, the tallest building in the world. The landmark building of Dubai, Burj Khalifa is 829.8 meters tall and is the most famous point of interest in the city. On your trip to Burj Khalifa, do visit the 124th floor, which is also known as the observation deck. The bird’s eye view of the city from the tallest building will leave you staggered. The observation deck experiences include a presentation on Burj Khalifa and Dubai and a 360-degree view across the skyscrapers. If you love taking photographs, visit Burj Khalifa at night to see the famous city light panoramas. The building is also surrounded by beautifully designed gardens and the Dubai fountain, which is the tallest performing fountain. One of the most famous museums in Dubai is housed in the Al-Fahidi Fort. The fort was built in 1787 to defend Dubai Creek. The walls of the Fort were built using traditional coral blocks and are held together with lime. The top floor of the Fort has wooden poles, whereas the ceiling was constructed using palm fronds, plaster, and mud. The fort has also served as the residence of the royal family, a prison, garrison, and seat of government. The fort has traditional boats, weaponry, Emirati musical instruments, and dioramas. The third on our list of must-visit places in Dubai is Mall of Emirates. Built and owned by Majid Al Futtaim Properties, the mall was opened in November 2005. This is the first shopping resort in Dubai with 560 shops, 90 restaurants, playing area, theatre, five-star hotel, and cinema. The mall has everything that you need under one roof. Whether you want to taste the authentic cuisine from every part of the world, shop for some of the top brands or experience the exclusive Dubai Ski, Mall of Emirates has it all. Dubai Ski, which attracts tourists from all over the world, has a beautiful ski set-up and also a penguin closure. Mall of Emirates needs to be a must-visit destination in your to-do list of Dubai tour. Dubai Creek separates the city into two different towns- Deira in the north and Bur Dubai in the south. The creek has been quite influential in the growth of the city. The creek attracted settlers to fish and pearl drive. The Dhow Wharfage, which is located along the bank of Dubai Creek, is still used by small traders from across the Gulf. You can visit the creek to watch the loading and unloading cargo. Dhow workers also invite tourists at times on the vessels for a tour to get an insight into the life of the traditional sailors. Many of the dhow travel to Kuwait, Iran, India, Oman, and Africa. Last on our list is the Dubai Aquarium, which is one of the top tourist attractions of the city. The aquarium is home to 140 species of aquatic animals in a huge suspended tank situated on the ground floor of Dubai Mall. In addition to a free viewing of the Mall, you can also walk through the aquarium tunnels. There is a lot that you can visit in Dubai. However, when you book Dubai Holiday Tour Packages, you may not have enough time to explore all the tourist attractions. The top 5 places mentioned above are some of the places that you can’t miss out on your trip to Dubai. Make sure your holiday package takes you to all the cool places.